Hi! My name is Ernest, and I'm a psychologist from Hungary. I have a Masters degree from clinical and health psychology and currently I'm attending a Phd program for...Read moreHi! My name is Ernest, and I'm a psychologist from Hungary. I have a Masters degree from clinical and health psychology and currently I'm attending a Phd program for applied psychology. My main interests lie in the (sometimes quite adventurous :) filed of scientific studies and statistical analyses. I'm comfortable with univariate statistics (from your basic T-tests to linear models), just as I know my way around research designs, and psychometrics quite well; even at a teaching level. (Mostly I've worked on validating questionnaires, so I'm really familiar with exploratory and confirmatory factor analytic techniques, reliability measures etc.. and I have some knowledge of Structural Equation Modelling). Very professional and explanatory. Quick turnaround and value for money! Perfectly explained, would definitely recommend! Ernest did a great job sorting out a really messy dataset that I was lost with. He communicated well, was very available. 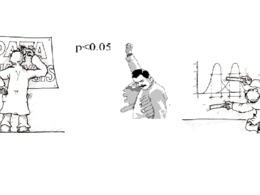 I would definitely recommend him for statistical analysis. Very efficient and willing to help. Very honest and hardworking, was glad working with you. Ernest was great. He did everything very professionally, quickly and with accuracy. Will happily use again and again.